Welcome to Dans TV and Electronics. We have been selling and servicing televisions for over 60 years. with expert service and support. lamp for DLP & LCD TV? 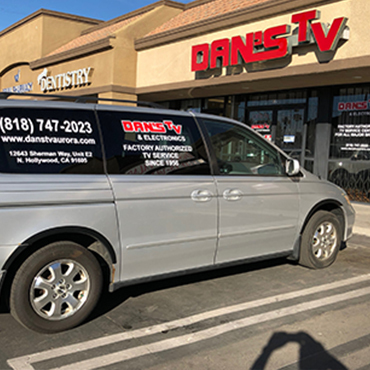 For 60 years, Dans TV & Electronics Repair Expert has remained a true family owned and operated residential and light commercial company. We have been selling and servicing televisions for over 60 years. You can bring your TV to the shop with a FREE Estimate, or our trained technicians will come to your home and provide an estimate and repairs. We can repair many sorts of electronic media to please any crowd. We repair receivers and other electronics. 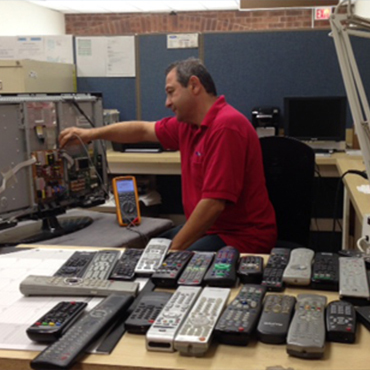 With over 30 years’ experience, factory authorized technician for JVC, Panasonic, Philips, Samsung, Sony, Sharp, Toshiba, Mitsubishi, Emerson, Sylvania, Sanyo, Magnavox, Funai televisions. Call Dans TV today for a quote on your new Television system. We offer high quality installation of residential & commercial Big Screen Installations. Save the cost of a service by bringing your product in for service during business hours. 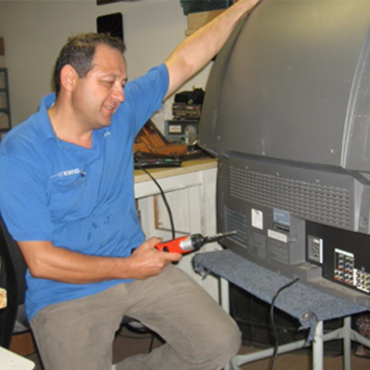 We provide a full range of repairing and maintenance of all TVs and its accessories. 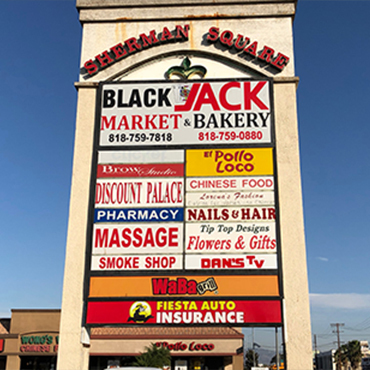 We pick your repair item from your location for service inside our service center..
We do a thorough inspection for your item and there will be NO CHARGE for the estimate. We provide In-Home Service for your item by taking prearranged appointment. Dans TV provides a full range of TV and its accessories repairing services with special offers. get the highest level of help. Very Profrssional,prompt and very fair rates for there service. we came back and brought a new Sharp HD LCD Tv from them.The price was better than the big stores and delivery was fast.They even set up the Tv,even though i told them i could do it my self. I Recommend their service! I called them looking for a lamp replacement on a large tv. They were helpful, professional and helped me find an affordable way to get it done even if it meant helping me avoid the housecall. Highly recommended! Ridiculously good service. Called DANS TV and they diagnosed and picked up the TV, gave me an estimate there and gave me a full quote over the phone. Sounds like the service is awesome and they repaired in less time. 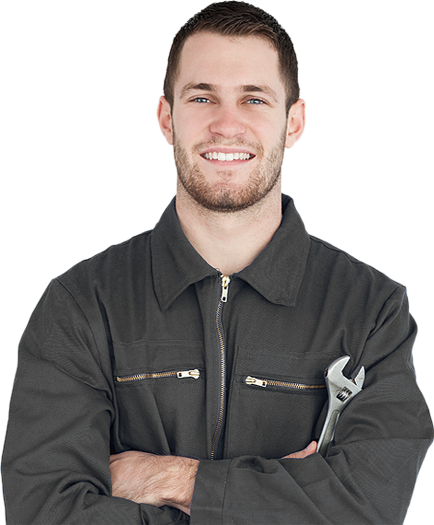 I recommend to use his services for repairing. Subscribe now and receive weekly newsletter with special offers and interesting activities. We have been selling and servicing televisions for over 60 years. 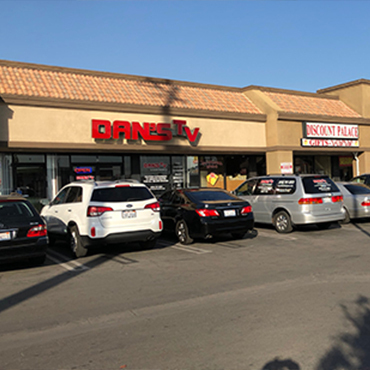 You can bring your TV to the shop with a FREE Estimate, or our trained technicians will come to your home and provide an estimate and repairs. We can repair many sorts of electronic media to please any crowd. We are dedicated to providing quality customer service.